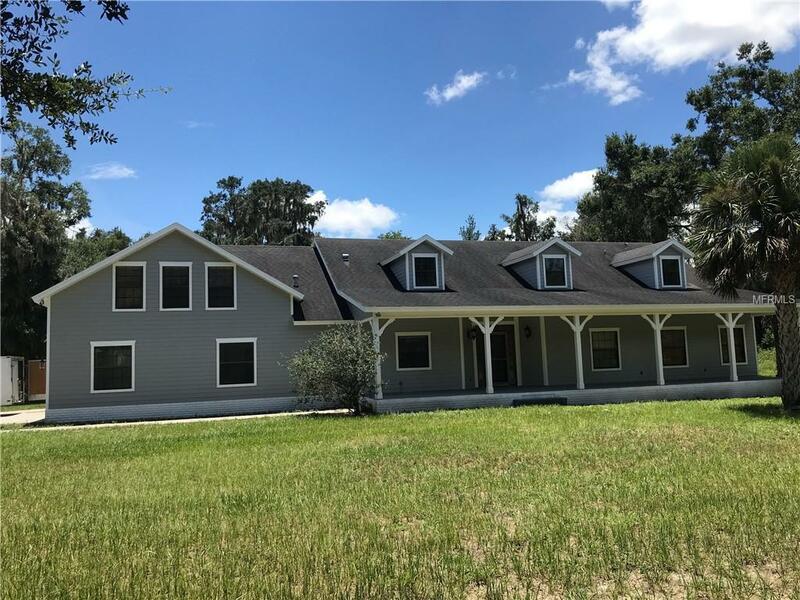 Beautiful country setting surrounded by old Florida on almost 6 acres. Approximately 2000 sq. ft. barn/workshop in good condition but not warranted. Large pool and spa with re-screened enclosure. 2nd floor bonus room. All rooms are large with tongue and groove ceilings. All room sizes to be confirmed by buyer. New kitchen cabinets and granite counter tops. Fresh paint in and out. Listing provided courtesy of South Realty, Inc.